When you’re trying to impress your wife, then sometimes you have to impress your wife’s mother too. 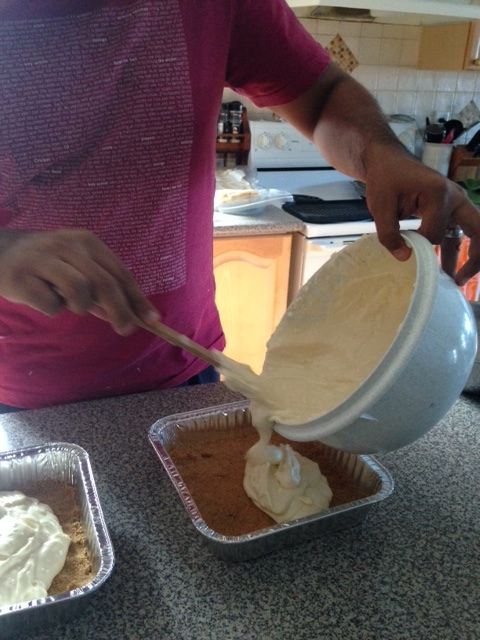 My mother-in-law got wind that I occasionally bake – my specialties (or just the only things I’ve attempted) are chocolate chip cookies, Nanaimo bars, Birthday cake and cheesecake. 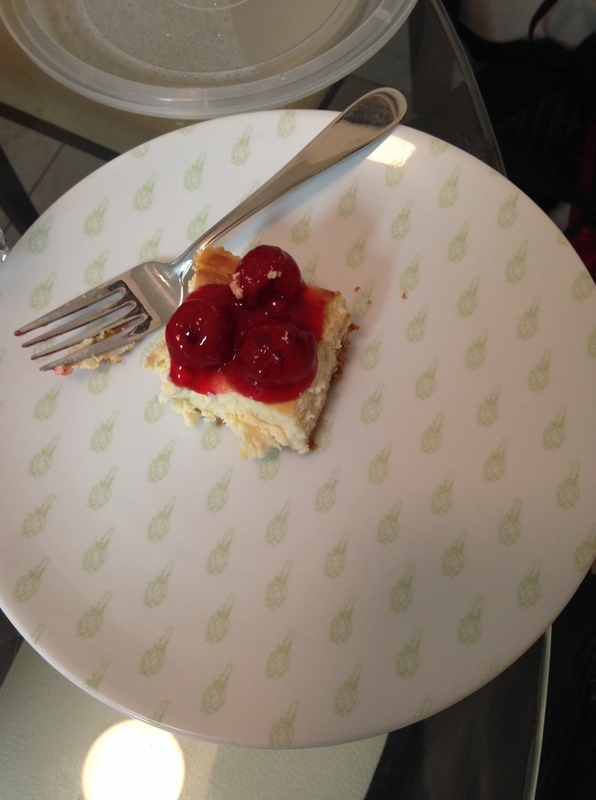 So when she invited us for Thanksgiving dinner this weekend, it came with a request for my cherry cheesecake. 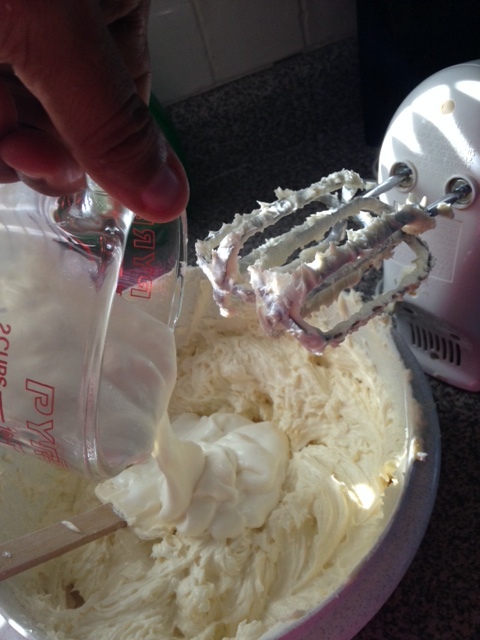 I enjoy baking because it’s hard to screw things up. Just follow the recipe (in my case, it’s usually provided by my mom) and it’s bound to turn out fine. 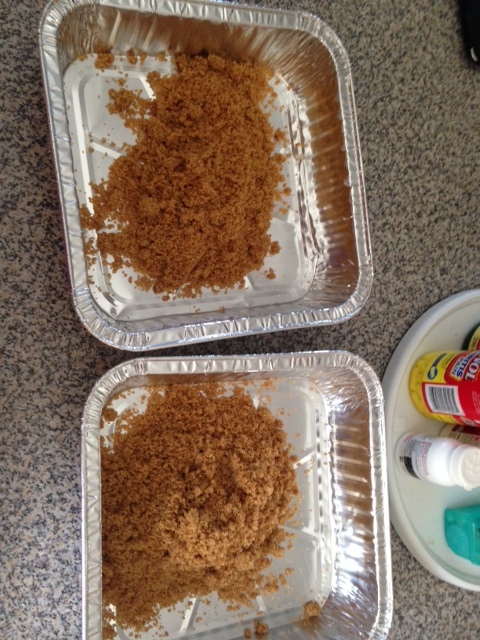 Also, sugar can cover up a lot of mistakes. So while visiting my parents this weekend, I took advantage of their spacious kitchen and baking equipment to prepare my contribution to the meal. 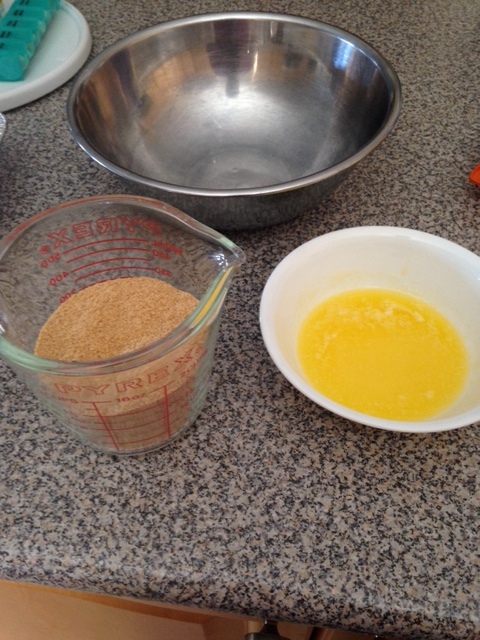 Without further ado, here’s the recipe for Mom’s easy New York cheesecake. Usual prep time – 30 minutes. My prep time (photos included) – 1 hour. Bake time – 4o-45 minutes at 325 F.
Line a 13 x 9 inch baking pan with foil leaving excess on the ends for lifting after the cake is done. 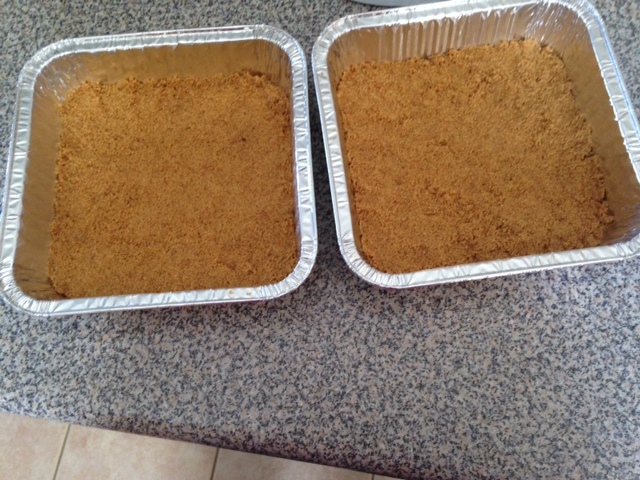 Note: I used two 8×8 foil pans so I could make one cheesecake for my family and easily transport the other. 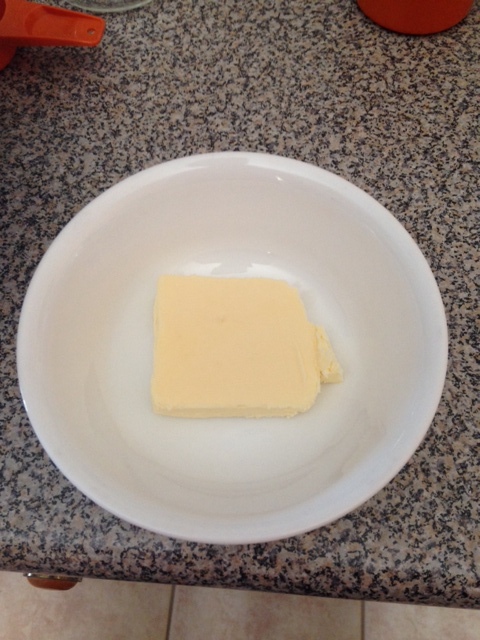 Mix crumbs with butter and press into the bottom of the pan. 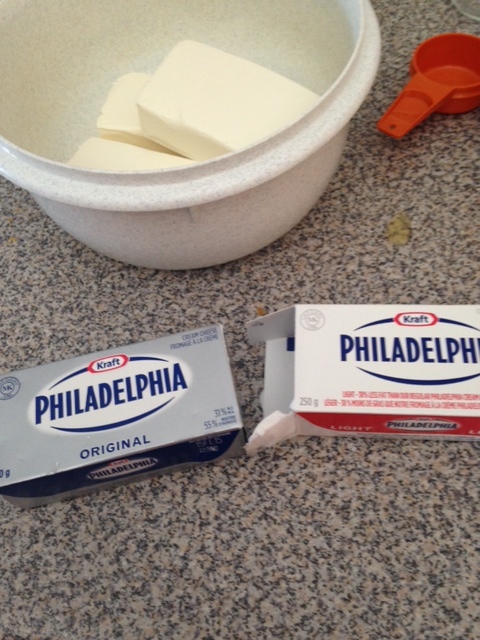 4 pkg 250 g Philadelphia Cream Cheese, softened (leave at room temp until soft or put in microwave for about 30 seconds). I used two packages of regular and two light, since previously this tasted a bit rich. 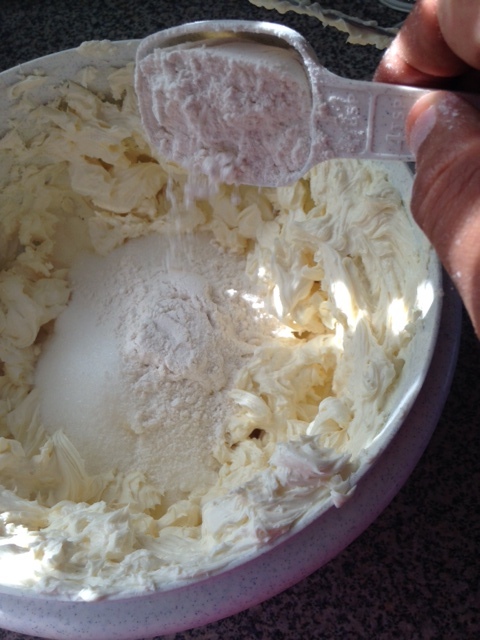 Beat cream cheese until creamy, add sugar and flour beating well. Add sour cream and mix well. 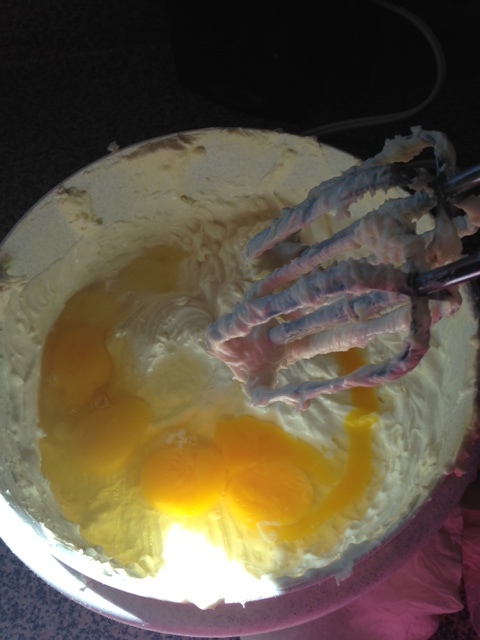 Add eggs until blended. Add vanilla. Pour on top of crust. 1/3 cup of strawberry jam or 1 can of cherry pie filling. If using the jam, microwave it for 30 seconds. 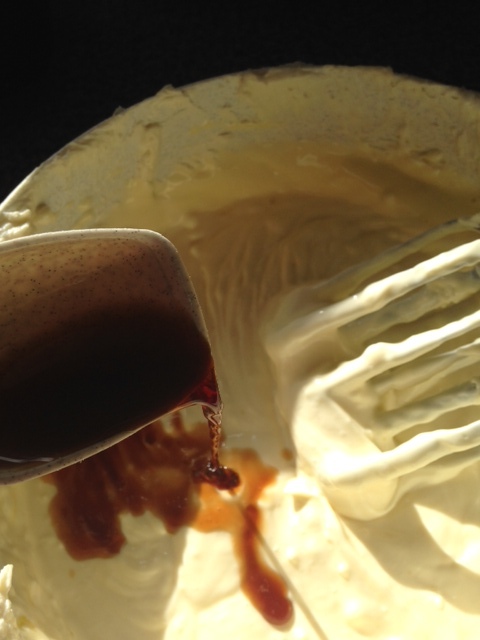 drop teaspoon fulls over the batter and then swirl it with a knife. 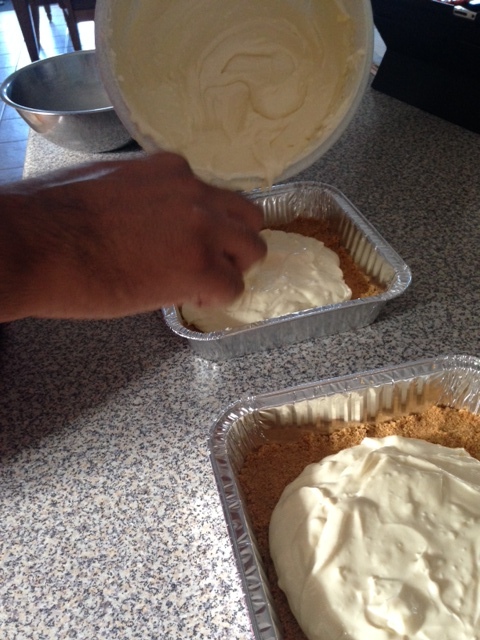 If using cherry pie filling, bake the cheesecake and after it has cooled or before serving top with the pie filling. Refrigerate and serve cold. How to make a cheesecake in 15 seconds. Thanks to my wife for assisting with the Instagram video and to my mom for offering a few pointers. Are there any special things you bake to impress your wife? I’d like to hear about them in the Comments section and I might just give it a try.